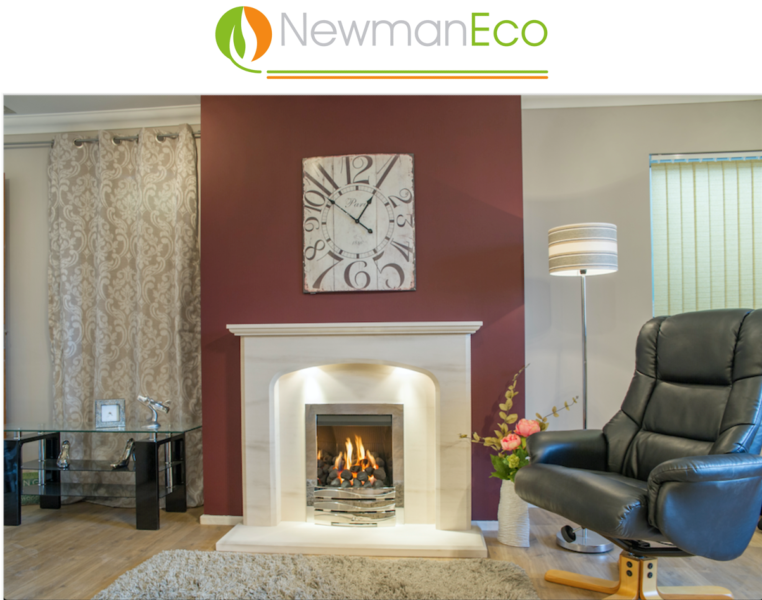 Newman Eco Definition high output gas fire is suitable for standard 16” wide fireplace openings, therefore being suitable for a vast range of fireplace models. This beautiful fire has been designed to be open fronted with a deep fuel bed to create a most realistic effect. The use of high quality ceramics within the burner ensure an intense glowing fire is achieved and the highly developed burner system create more efficient dancing flames. Cleverly designed stainless steel side chamber, reflect the intense glowing coals and flames to give real visual impact and giving the illusion of a much larger fire. A high quality fire with up to an amazing 4.2kw heat output available with a choice of gas controls, fire trims and available with either a coal or pebble fuel bed. Shown with Avalade natural limestone replace incorporating a gently sweeping arch with matching profiles create a design of charm with immense versatility that will enhance any room with ease, when used with the Newman Eco Definition inset open fronted high output gas fire.